HTC Connect has launched, promising consumers high-quality, wireless audio and video streaming from HTC smartphones to compatible in-home and in-car devices. The HTC Connect certification program allows electronics manufacturers to produce equipment to a set standard, which will allow their products to seamlessly connect to HTC devices. Kouji Kodera, chief product officer at HTC said; "The vision for HTC Connect is to allow our customers to easily stream their favourite high-quality video and audio from their smartphone into their home or car." 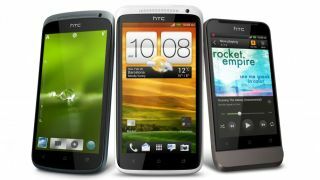 The first HTC handsets to support the HTC Connect program will be new One Series of smartphones, which currently includes the HTC One X, One S and One V.
HTC has said that the One Series handsets will receive a software update in the coming months, which will bring the HTC Connect certification to the phones. Pioneer Electronics has been confirmed as the first manufacturer to produce HTC Connect-certified products and the first devices will feature in the firm's 2012 DLNA-compatible range. Russ Johnston, Pioneer's executive vice president of home electronics said; "We're very pleased to be working with HTC on this important evolution of audio technology, which fits very well with Pioneer's strong commitment to embracing the smartphone movement in our home entertainment products." Although initial products will be DLNA based, HTC says that future devices will also include Bluetooth and NFC capabilities.